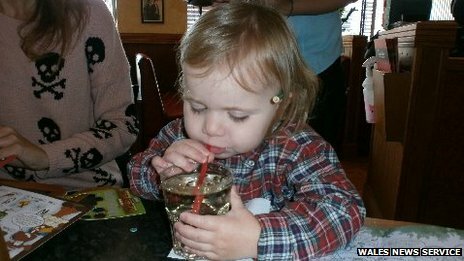 Sonny Rees drank the whisky at his second birthday in a Frankie and Benny’s restaurant in Swansea. His mother Nina Rees only realised the mistake after he had nearly finished the drink. Sonny, from Pontarddulais in Swansea, was taken to accident and emergency where he was kept under observation by doctors. The toddler is now recovering at home. The restaurant is investigating how the incident happened. Sonny’s mother Nina Rees, 34, said: “We went to the restaurant just after midday and I had ordered him lime juice and water, his favourite. 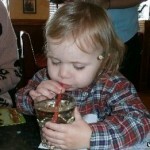 “The drinks arrived and I was encouraging him to take sips because he was eating salty things. “We had finished our first course when we noticed he was pulling a face as he was drinking. “I took it from him and took a sip myself. “It was whisky, I would say a double. As soon as I sipped it I had the slight burny feeling in my throat and warming in my chest. “Sonny had taken about 10 sips – he was obviously intoxicated. Mrs Rees, who is a teacher, complained to the manager who took a sip herself. Mrs Rees was disappointed by the staff’s reaction and called NHS Direct before taking Sonny to accident and emergency. Sonny was asleep by the time he arrived at Morriston Hospital, Swansea, where staff monitored his vital signs. He was later given the all-clear and allowed to go home. The family took photographs of Sonny with his drink before they realised it was whisky. It was lucky that they had a good Restaurant Insurance policy!